I wrote this blog on election day and decided to go ahead and post it! Next time- AFTER! It is my hope that today history will be made, that women will unite and finally elect a woman to lead our country. This blog is pretty much always about my learning to become more conscious and aware and to use the coping skills of breathing and pausing. Navigating challenges these past few months has been excruciating in that regard, a true challenge and a test to my whole being. This November day is gorgeous and the sun is streaming across my page as I write. As always, the sun energizes me. Today, I think about my mother, my feisty, dramatic aunt and my grandmother. 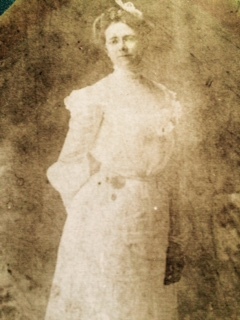 Grandma was born in 1883 in Illinois and at 5 moved to rural Northern New York State where she stayed until she was married; as a young woman she was a teacher there. I remember her telling me this fun story. She was sitting in town watching young girls in mini-skirts (around mid 1960’s) and knew if she were young still she would also want to wear that fashion. She was an accomplished seamstress; she, my aunt and my mother were always dressed in the stylish clothes she made. She was a forward thinking, elegant woman and lived to be 95.5, never seeming old. She raised two independent, strong daughters. My aunt was the dramatic, feisy one and was a die-hard Republican until shortly before she died. She proved that change is possible even at 90+ years. My Mother was feisy in a less dramatic way; Mother joined the Army and became a WAC during World War II. She became a Democrat years before she died eleven years ago at 89 years. She was known to write letters to the editor of her local paper and they were published. She always spoke her mind. I remember her telling stories of what is was like being a woman in the Army as well as being a teacher in a public school in rural NYS. Let’s just say, there can be no doubt she would be speaking out today. I also have no doubt these 3 strong, smart women would be supportive of the most intelligent, prepared candidate. I think of my Grandmother and remember that when she was a young woman in New York State, she lived not far from where suggragettes were marching, speaking out, being jailed. Gaining the right to vote had to have affected her greatly. Aunt Rachel and Mother were young women at the time of the second world war; they both would definitely be celebrating and voting today as well. I have to believe each of them is doing that now, along with Elizabeth Cady Stanton, Susan B. Anthony and all those other women (and men) who sacrificed and stood up for the belief that women are equal. So this has been a roller coaster ride of emotional highs and lows for the last several months, building up to this election day. I have been challenged to practice what I preach. Stop, Exhale, wait for Breath to arrive and repeat, over and over again. I am thankful for these tools. I admit sometimes I have failed miserably and anxiety has won. But ultimately, determination has won out always. Today I continue the practice and work at staying conscious and in this moment only. The sun with a cloudless sky remains brilliant, I remain positive. It is going to be a LONG evening.